Get to know the real ballistics of your air rifle or pistol with the pellets that "you" use. Folds in half for easy fit into your range bag. All the best features from the ProChrono Digital, added built-in Bluetooth technology, and improved the accuracy. Pellets: Buy 5 for the price of 4! So your favorite online airgun pellet supplier won't ship airgun pellets to Massachusetts.... no worries, just call or visit New England Airgun in Hudson Ma, we have all your airgun supplies from Arrows to Pellets and more! Need the New H&N Lead BB's that don't ricochet. 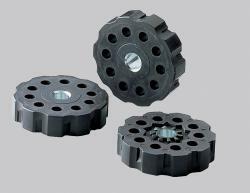 we have them, Big Bore and Specialty Castings, if we don't have them we can get them. From 4.5gr to 300+gr we can fill your needs. Just Contact Us. If you don't see a brand or model you desire, send us a message, we can get most anything you desire. Bulk orders possible at discount prices. New - Predator GTO .22 & .25 Domed pellets are Here! Looking for a ricochet-less backstop for your indoor target shooting. This big box will hold up to a 17x22 target or multiple smaller targets on it's face. Your shots go in but they don't come out. 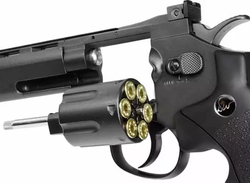 portable enough to place on a table or mount it like a dart board on the wall and play darts "airgun style"
the large area is great for new shooters too. $150 for just the box. $250 for the box with our ricochet-less backstop material. 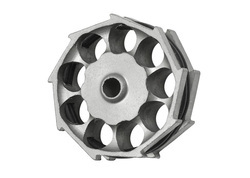 Interested in a lead-free (tin material) .22 cal wadcutter pellet for your air rifle or pistol? 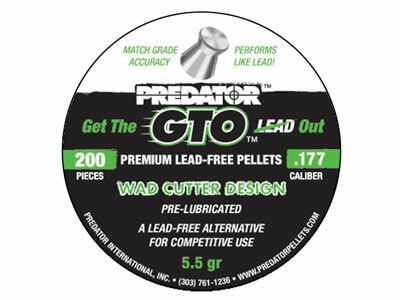 Wadcutter pellets have 2 purposes, Target shooting and Hunting. In target shooting they can't be beat for the accuracy and clean holes made for scoring. Where we spend most of our time practicing and playing shooting games I believe wadcutters should the a #1 choice for the bulk of all our shooting needs. Used for more humane/closer range hunting, they transfer maximum energy into the animal hunted while limiting penetration. Domed pellets offer better distance and pass-through penetration but at the risk of inflicting an inhumane injury to the animal. 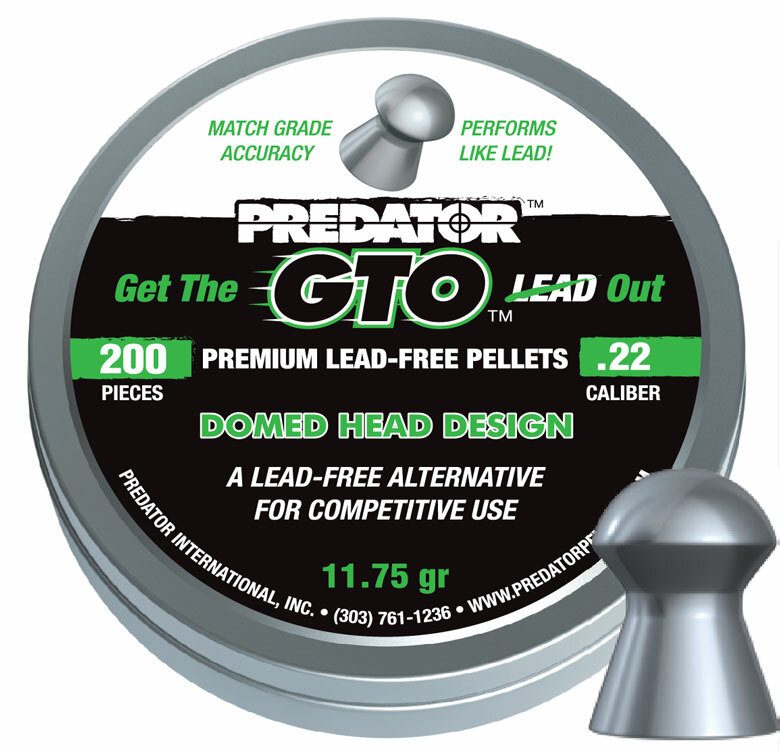 Domed pellets with a hollow point work like a wadcutter but the shot needs to be closer to get the impact that spreads the pellet material. Send us an email and we will send you a sample of the .22 wadcutter when we have it made. Looking for a way to have a "Blast" with your airgun, Check out the video to the right. You will be drinking soda, water, and other beverages in plastic bottles, put them to work for a big bang! We have them ..... you can too! some we have in stock, we can get it all. Reload when you fill your tank if you have enough magazines on hand. Spend your time shooting not reloading the the field. Dovetail to Weaver or Picatinny Adapter. 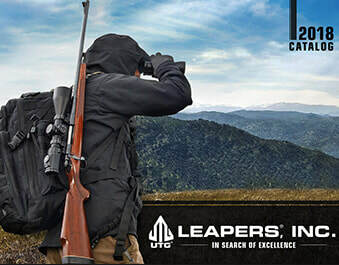 Mount your scope on your bb or pellet gun with this super little invention by UTG/Leapers. Works for your .22 firearms with dovetail rail too! low profile - doesn't add height to your sight alignment. most useful adapter we have found. Our fidget spinners have all the spinning, twisting, manipulating, assembly, disassembly, adjustment, and fun of the child version toys. 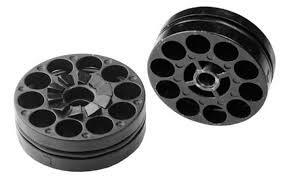 ours consist of Revolvers, Break Barrels, scopes, magazines... come in and Join our Fidgeters and get on target! 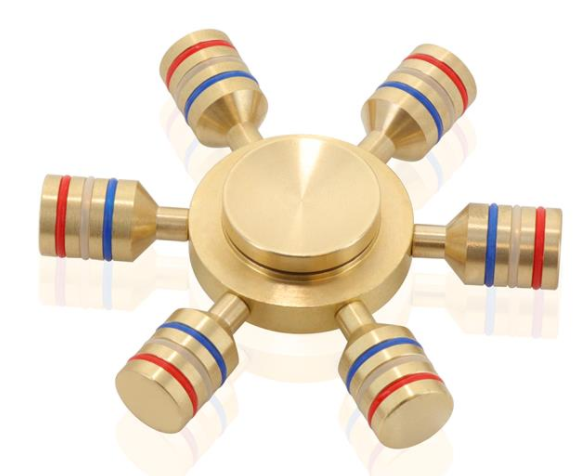 We do have the kids Fidget Spinners for sale too, Solid Brass with removable parts... and Water Balloons! During many activities - kids should have protection just like the adults do. Having the kids try to wear protection that isn't their size isn't comfortable or safe, and the kids learn to reject the activity and the protection. 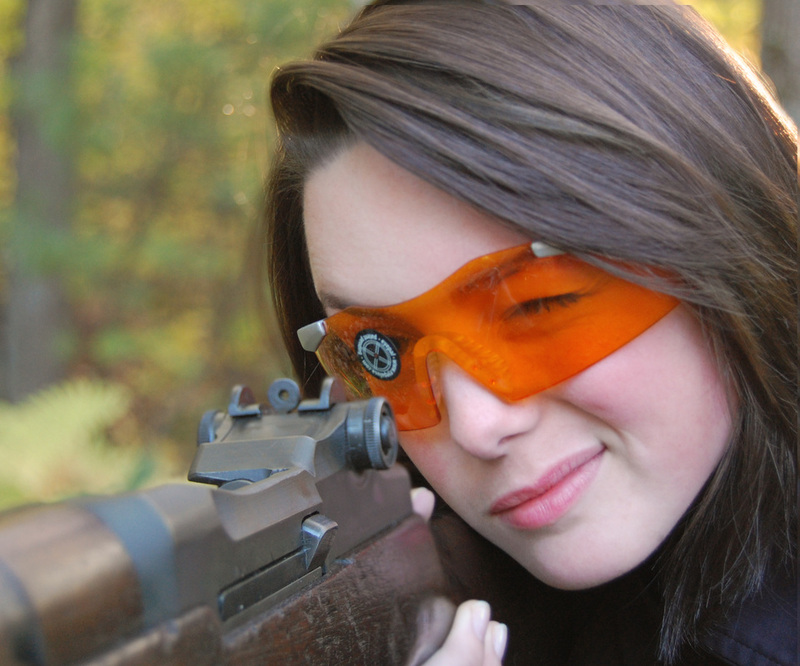 We have safety glasses and Hearing protection that is just right for kids, Glasses that are dark for outside, clear for inside, and Hearing protection in a variety of colors. You may be hiking in the woods or just working around the yard, your kids will benefit from having the protection and everyone will enjoy the activities more. 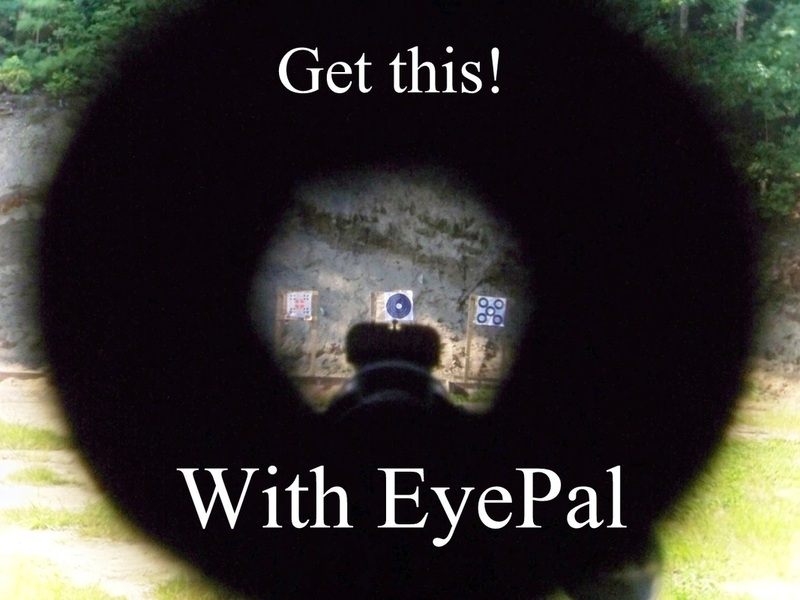 Eyepal Vision correction so you can see your iron sights and target again! Is this what you see when using iron sights like I do? ​$30 with free shipping - $25.00 for in store purchase. Rifle Kit includes: 2 rifle eyepals. Master Kit includes: 1 rifle eyepal, 1 handgun or bow eyepal. Handgun or Bow Kit includes: 2 handgun or bow eyepals. you can use one eyepal on your dominant eye for seeing only your sights and target inline or you can use the second one on your other eye to improve your vision of the target only. Below are some manufacturers we have access to and the types of products they supply. If you have a favorite manufacturer or product not in this list, email us, we might be able to get it.